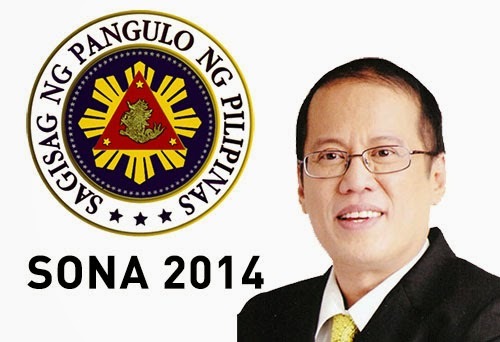 The SONA 2014 English full transcript of the President can now be viewed here. He addressed his SONA at the Session Hall of the House of Representatives, Batasang Pambasa Complex in Batasan Hills. Before the SONA start, many group of protesters flock together to show and fight for their rights as a citizen of the Philippines. And so, I will leave it here. Good afternoon to all of you. Thank you very much. [Applause] ..
For more information about the SONA 2014 Full Text Transcript (English), kindly bookmark this page and share to your joined social networking sites. Comments or suggestions about "SONA 2014 Full Text Transcript (English)" is important to us, you may share it by using the comment box below.